Expressions Florist opened in 1986. We are dedicated to friendly and prompt customer service and we use only the finest and freshest flowers from around the world, while giving you the best value for the money. We are family owned and operated with many talented, long-time employees on staff. We are all committed to creating beautiful floral gifts that will help express your sentiments. Flowers, Plants, Planter Baskets, Stuffed Animals, Balloons, Greeting Cards. Feel Free to call for daily availability or special order products! Placentia, Brea, Yorba Linda, Fullerton, Anaheim, La Habra, Orange, Villa Park, Tustin, Santa Ana, Irvine, Buena Park, Whittier, Covina, Diamond Bar, and Chino Hills. Delivery to other southern California areas by our vans may be arranged on a case-by-case basis. Please give us a call. Brown Colonial, Dimond & Shannon, Fairhaven, Ferrara Colonial, Forest Lawn, Holy Sepulcher, Hilgenfeld, Loma Vista, McAulay & Wallace, Melrose Abbey, Memory Garden Memorial, Pierce Brothers, Saddleback, Shannon Bryan, Rose Hills, New Options Funeral Services. Hours of operation may be changed during some holiday weeks. Please call ahead. We are closed on the following holidays. Why Order All of Your Flowers from Expressions Florist? In a few words- because you'll save money! The "Web-Florists" that advertise everywhere are nothing more than middlemen- charging you a service fee of $15.95 or more to take your order that they then send to a real florist to make and deliver. And don't think that their $15.95 service fee goes into the arrangement or towards the delivery charge. It does not! The "Web-Florist" keeps that money for themselves- for more advertising and for their own profit. So cut out the middleman and go direct. Call a local florist that you know and trust, and put your money into the flower arrangement- not into a middleman's pocket! Expressions Florist never charges a service fee for local delivery. Every cent you spend with us goes into your arrangement and the delivery charge, which will be clearly broken out for you ahead of time. If you need to send flowers anywhere in the United States outside of our delivery area and don't know a florist there, we will be happy to handle that for you, using our national network of trusted florists. We charge a small service charge of $7.95 to cover our expenses on these out-of-town orders, which is at least a $10.00 savings over those fees charged by the "Web-Florists". And just like our own local orders, we guarantee your satisfaction 100% or your money back..
All deliveries will have a fee of $11.95 added to each order, for each address. For deliveries outside our local area this fee may be slightly higher. Generally, U.S. orders must be received by us before 12:00 noon in the recipient's time zone to assure same day delivery. All deliveries received after this time will be delivered as soon as possible, perhaps the following day. Occasionally, substitutions may be necessary to create your bouquet due to the availability of certain flowers in various parts of the country. Care is taken to maintain the style, theme and color scheme of the arrangement, using flowers of equal value. Additionally, the substitution of certain keepsake items may be necessary due to increased demand, especially during the major holidays. In a single- flower arrangement, such as a rose bouquet, or orchids, we will make every attempt to match the flower type, but may substitute with another color. When opening an account or making a purchase, you have an opportunity to opt-in or opt-out from receiving emails from us. If you opt-in to receive information from us, we may use your purchase history ,contact information and other registration information to provide you with more relevant information and email content. We may send emails to our users regarding changes in our services or other information we believe will be of interest to our users. If you prefer not to receive these emails, you can send us an email with the subject line no emails or reply to our email with the subject line no emails. 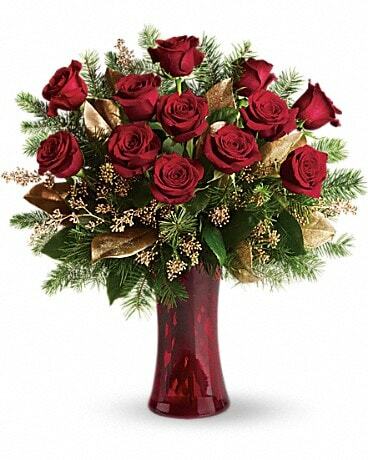 We may share your information with Teleflora and other reputable vendors for the purpose of sending out special offers via email and/or in connection with the services provided by our site such as the delivery of flowers. Your information will not be shared for any other purpose and will be kept secured.